Archive for El Cazador de la Bruja. 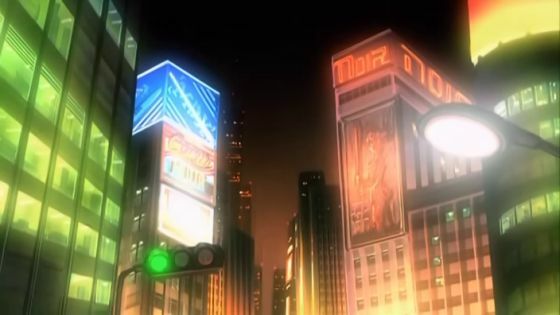 Madlax and Noir references in El Cazador de la Bruja. 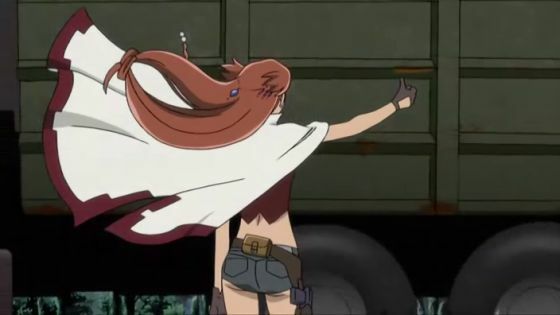 I've started watching El Cazador de la Bruja to round out the Bee Train girls-with-guns trilogy. 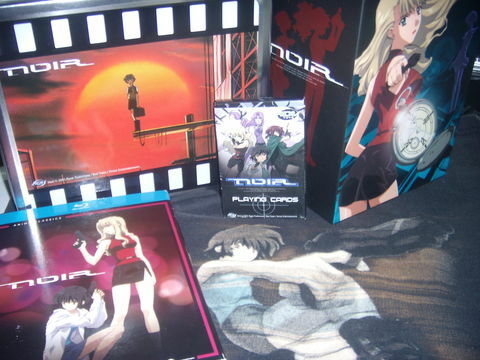 It has obvious ties to Noir and Madlax, particularly because it compels suspension of disbelief in the viewer. Nadie tries to hitch a ride. 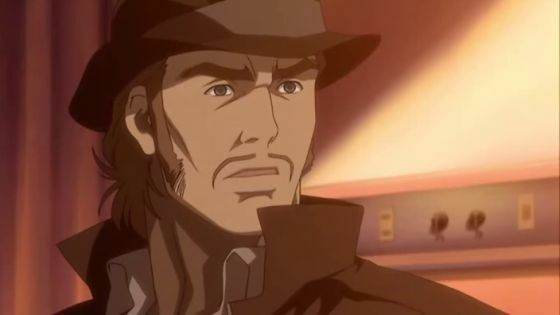 In that respect, it's not as outrageous as Madlax, but I do have trouble believing Nadie could have so little success as a hitchhiker. Who cares if she's got a gun? The "TACOS, TACOS, TACOS" song is the best part of El Cazador de la Bruja. I like El Cazador de la Bruja the least of the three Bee Train "girls with guns" shows. It's too damn dull. First of all, Ellis takes entirely too long to develop a personality, such as it is. 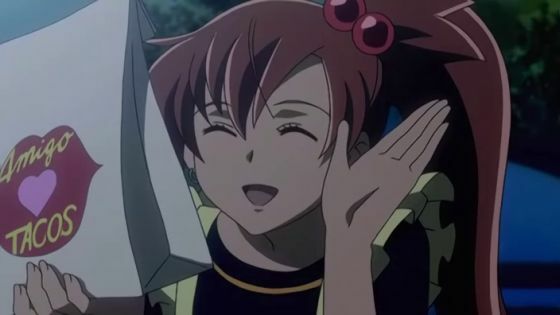 Margaret was spacey in Madlax, but I didn't hate her for it. Kirika was quiet in Noir, but I loved her for it. Ellis is spacey and quiet, but I don't care about her at all. Ellis setting L.A.'s crotch on fire? An under-explored allegory. 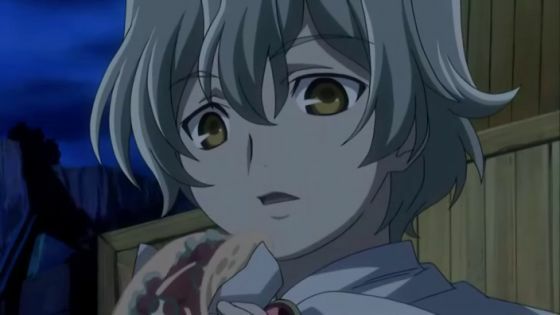 Ellis isn't even the worst character in El Cazador de la Bruja. That dubious honor goes to L.A. I have no interest in L.A. besides wishing he would start talking like a normal person. Additionally, Lirio contributes nothing to El Cazador de la Bruja at all aside from making me worry that Gendo Eastwood is a child molester. It's because of your 'stache, Ricardo. I did like the winks and nods in El Cazador de la Bruja to its predecessors Noir (which I love beyond reason) and Madlax (of which I'm ambivalent). I noticed Kuwashima Houko and Mitsuishi Kotono's cameos immediately. Surprisingly, I also noticed Kobayashi Sanae's, even though I don't know her voice well. 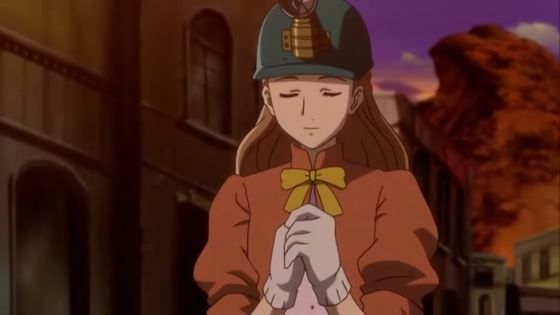 El Cazador de la Bruja should have been about mining instead of witches. 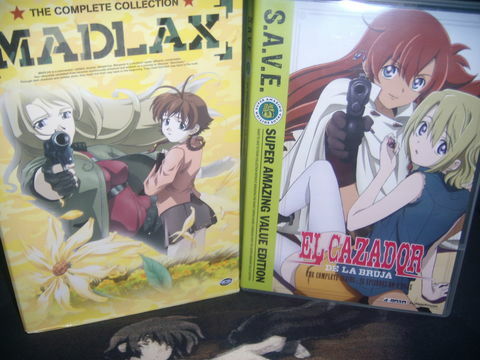 Sadly, mentions of Noir and Madlax also remind me how much better the music is in those two series than in El Cazador de la Bruja. This is not Kajiura Yuki's best work by any means. And as much as I like Savage Genius, even the OP doesn't work for me. The ED is good, though. I attribute that to Nanri Yuuka's singing. L.A. eating Ellis' taco? Also an allegory. The supernatural elements in the Bee Train "girls with guns" oeuvre grow more overt with each installment. Years ago, I observed, "Kirika isn't a ninja; she's a witch." But everything Kirika does is theoretically possible within the liberal rules of anime physics. She is Noir, after all. 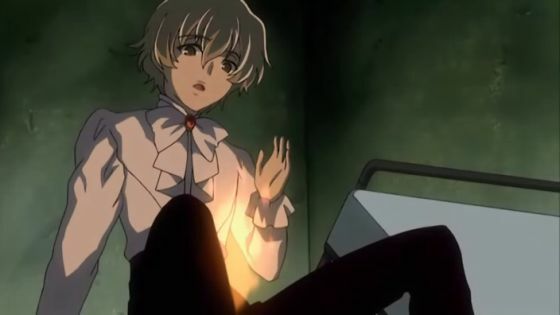 Madlax has supernatural mumbo jumbo, but remains vague about it long enough to keep things interesting. El Cazador de la Bruja is about witches with honest-to-God magic powers, but they're dull witches with boring powers. [Spoilers: Ellis jumps high.] Maybe Bee Train will make a fourth girls-with-guns series—this time about mahou shoujo with pink Uzis. 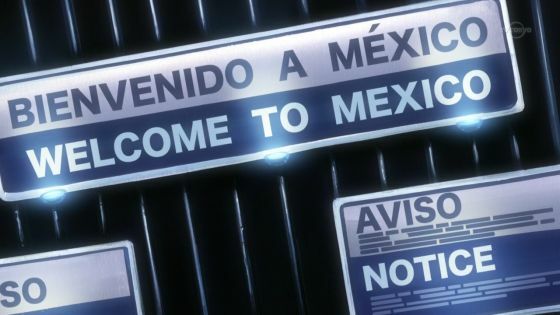 Not to make light of Phantom ~Requiem for the Phantom~ which, in addition to being a serious show, is honest to God the best show airing right now, but I hope Bee Train works in an El Cazador de la Bruja reference during the upcoming Mexico arc. C'mon, you know you want to see Zwei singing the "Tacos, Tacos, Tacos" Amigos Tacos jingle.